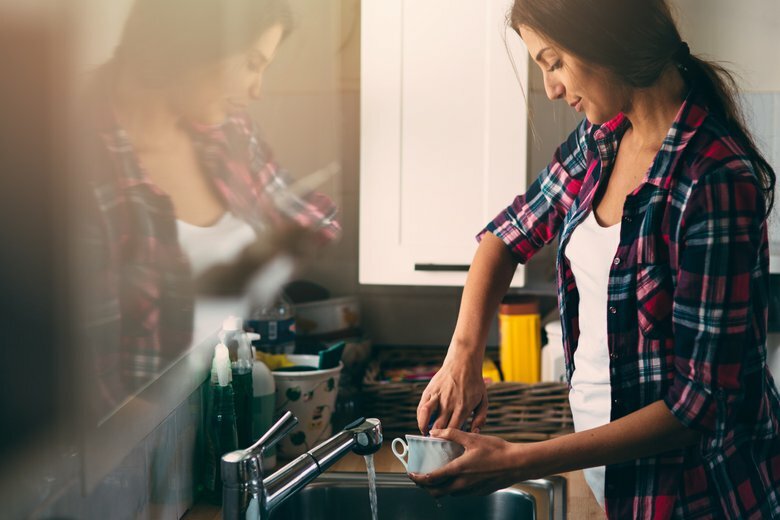 Not long after your baby impresses you by pulling herself up on her own, she’ll be using everything within grabbing distance to cruise around: arm chairs, coffee tables, ottomans — you name it, it’s sure to become a vessel for getting your little one from point A to point B (even if A to B is only in a circle). Instead of limiting your baby’s pre-walking movement to a few pieces of furniture, broaden her horizons — and her mobility — with a walking toy. 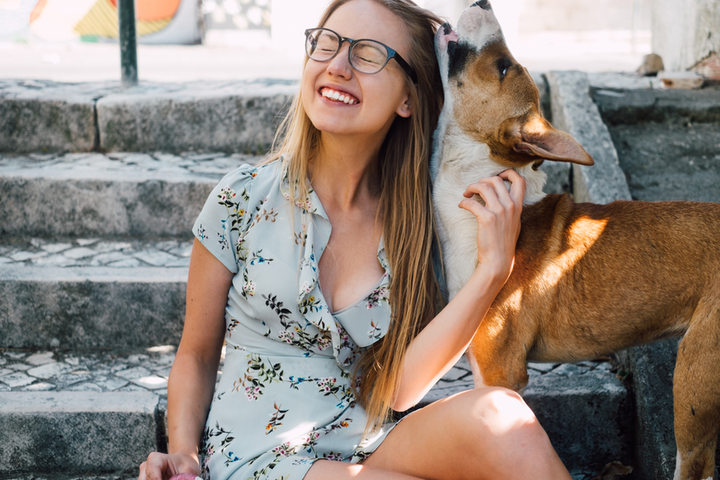 Not only will you get a kick out of seeing her toddle around the house, babies can reap a number of physical and mental benefits from walking toys. 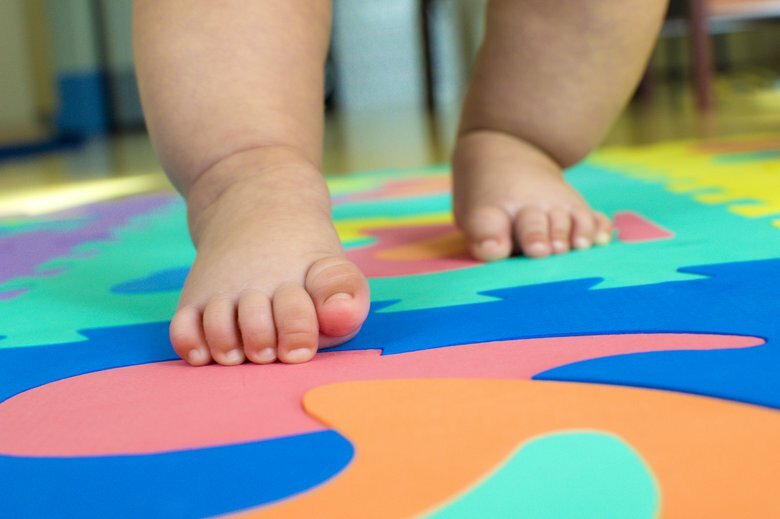 In addition to the physical benefits walking toys provide, they can also help strengthen your baby’s mental muscles. 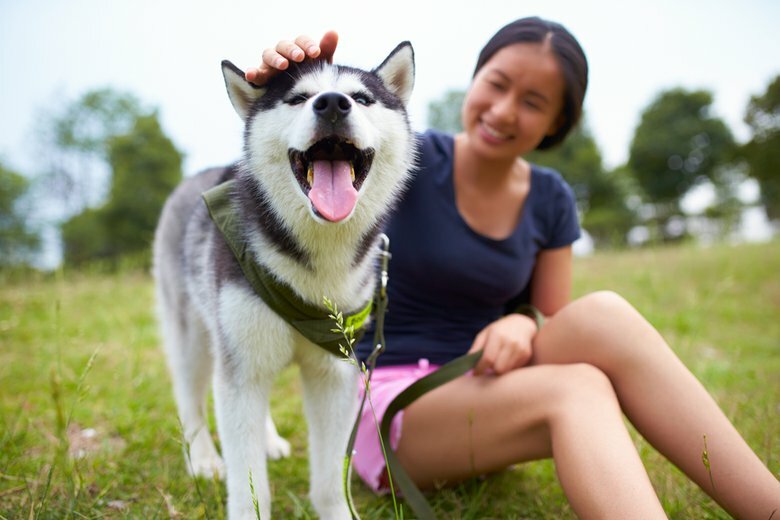 “While all walkers help toddlers learn to walk, some offer additional play value and can help build other skills — all while keeping kids engaged and entertained for long periods of time,” says Marissa DiBartolo, editor in chief of the Toy Insider. Before you test your little one’s physical prowess with a walking toy, take her skill set into consideration, not just her age range. 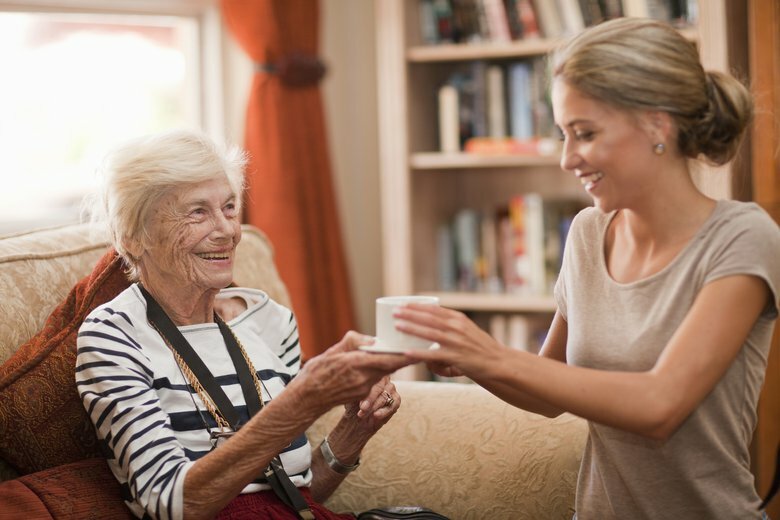 Ready to increase your family’s foot traffic? 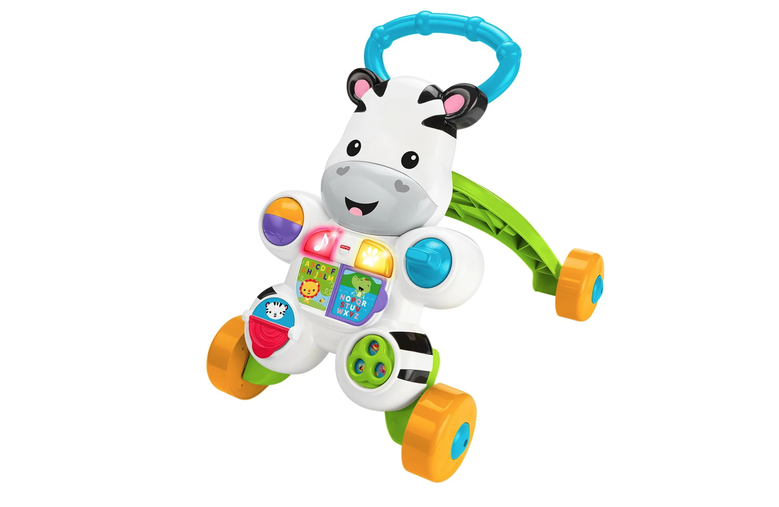 Here are 10 of the best toys to help baby walk. 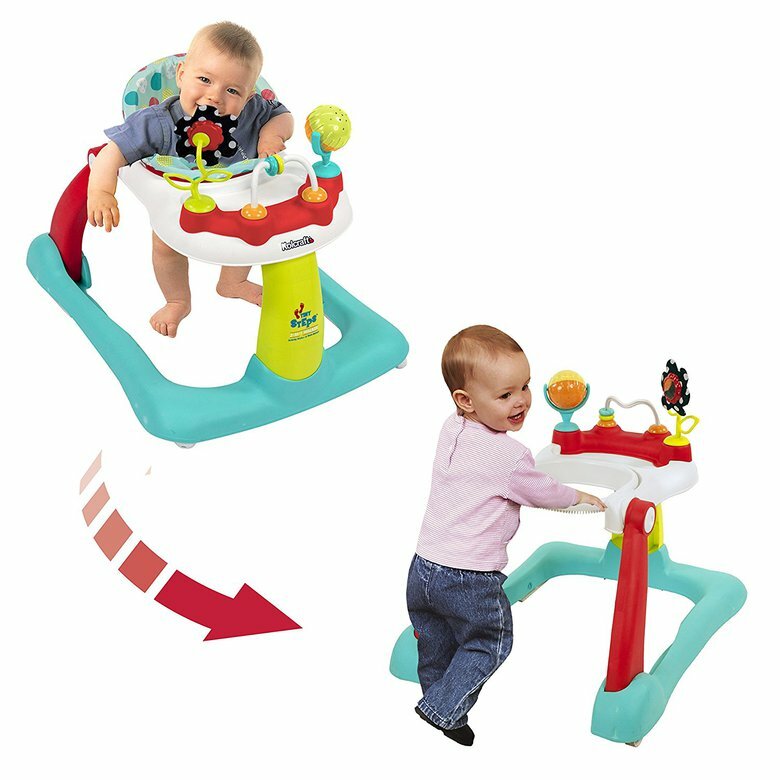 The Kolcraft Tiny Steps 2-in-1 Activity Toddler and Baby Walker can typically be used at an earlier age than most walking toys, because it starts out as a seated walker and converts into a standing walking toy for when baby is stronger and more mobile. Gear that works through multiple phases of babyhood? That’s music to any parent’s ear. It’s an activity table! It’s a walker! 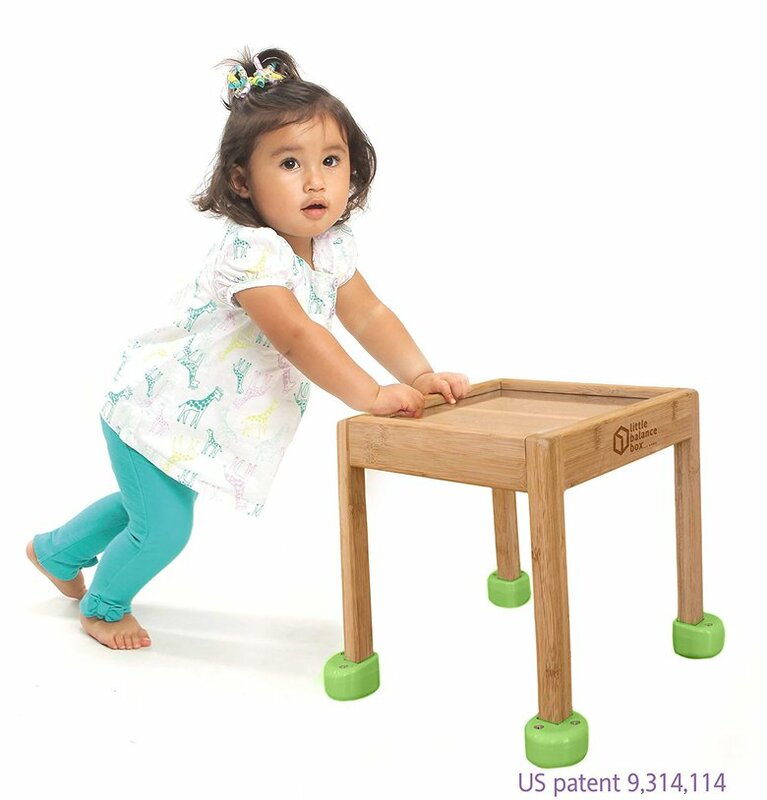 No wonder the award-winning Little Balance Box 2-in-1: No Wheels Spring Feet Toddler Activity Table has so many five-star reviews on Amazon. Parents love both the eco-friendly design and that the spring-loaded feet keep baby moving slower than traditional wheel walkers. 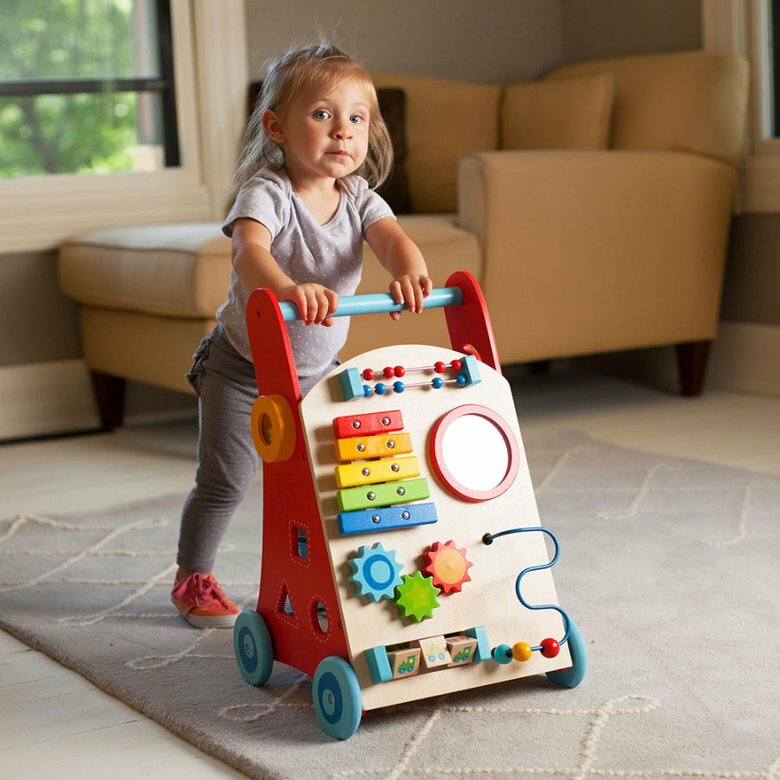 Not only is the Labebe Wooden Push Toy Walker flat-out adorable, it’s guaranteed to be a hit with kids for years to come. When baby is first learning to walk, she can pull herself up by the sturdy handle and cruise around. When she’s older and walking confidently on her own, this walker can be used as a prop for all sorts of imaginative play, including a baby carriage and a grocery cart. Clackity-clack, here comes baby! With the Chomp & Clack Alligator Push Toy, everyone in the house will know where to find the littlest family member. The Busy Baby Deluxe Walker is pretty much the Cadillac of baby walking toys. In addition to being seriously sturdy with rubber-lined wheels that offer a smooth ride with the perfect amount of resistance, it’s chock full of multi-sensory toys. 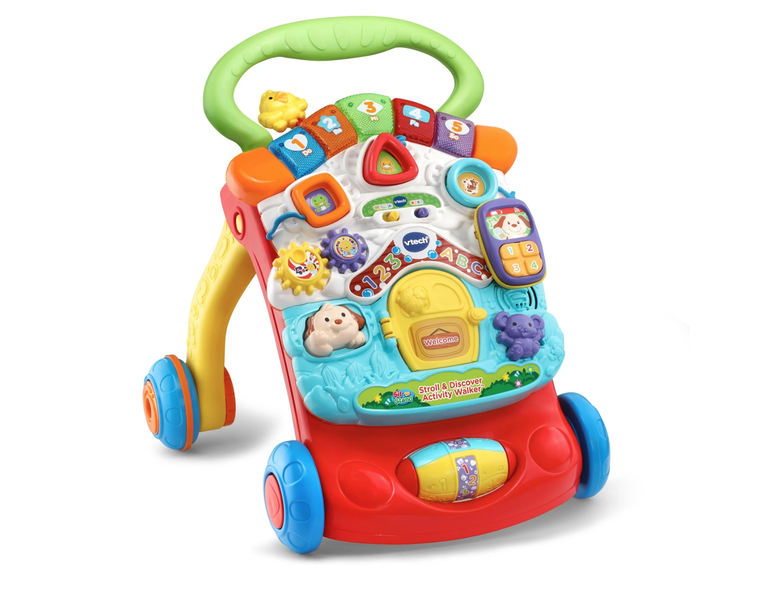 A bead counter, xylophone, spinning gears — you name it and the Busy Baby Walker has it. An added bonus? It has a net-covered storage space in the back for when your toddler has toys that need hauling. 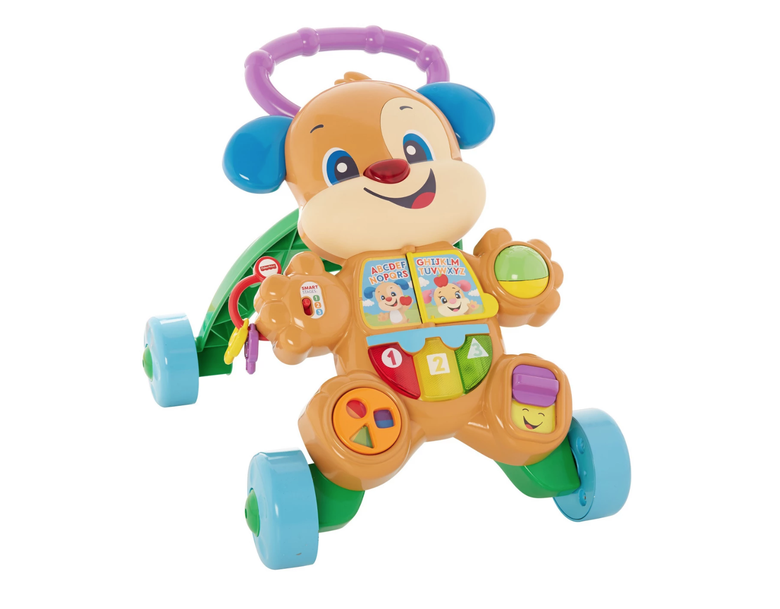 Babies and toddlers will love all the sounds and activities that come with the Fisher-Price Laugh & Learn Smart Stages Puppy Walker — and parents will love the under-$20 price tag. 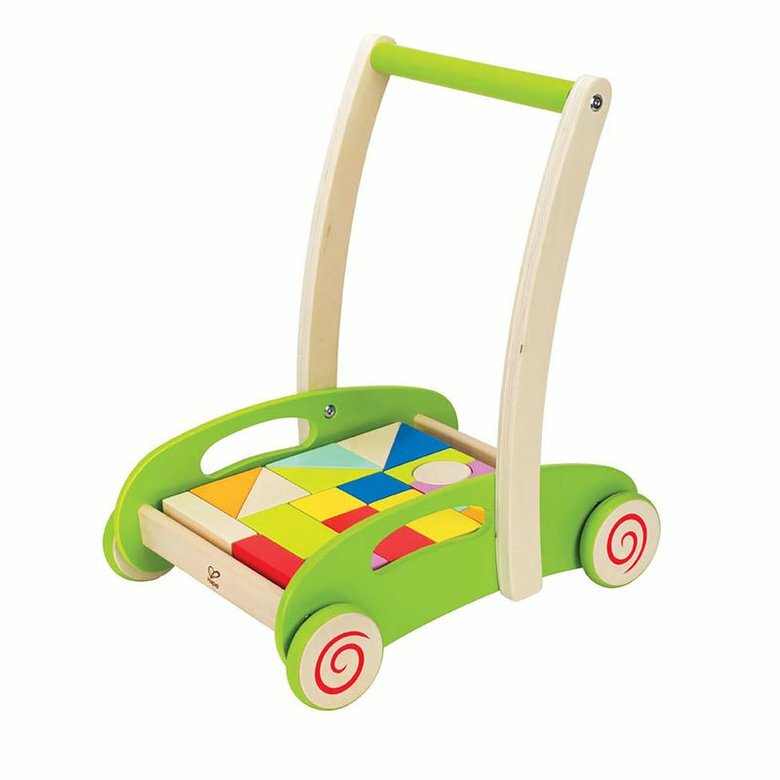 Receiving an average of 4.4 stars from over 400 reviews on Google, it’s hard to go wrong with this adorable and easy-to-store walker. 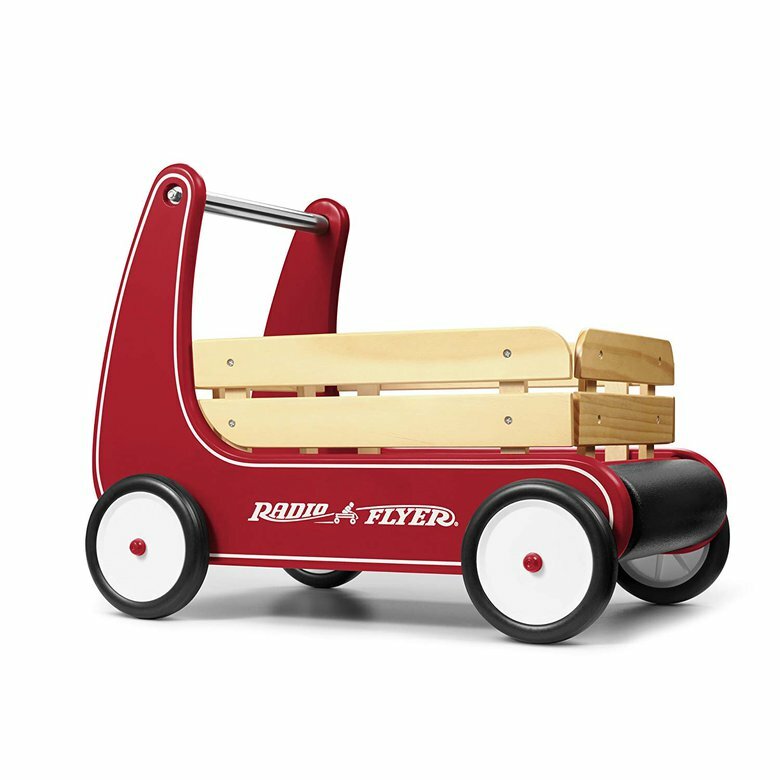 Few things go together like little kids and bright red wagons, which is only half the reason the Radio Flyer Classic Walker Wagon is an ideal baby walker. 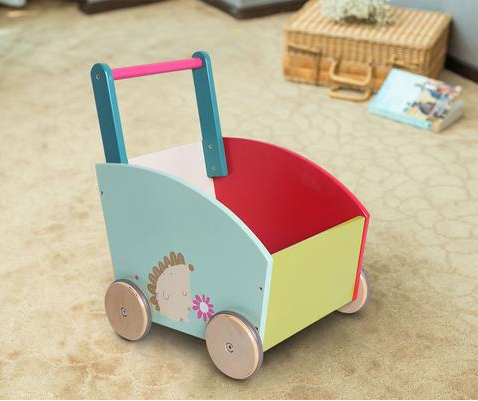 In addition to the resist push feature which allows babies and toddlers to walk slowly and steadily, this walker comes with a big storage space for important stuffed animals — and a bumper in the front to protect important furniture. Leave it to Hape to make a baby walking toy look super chic. 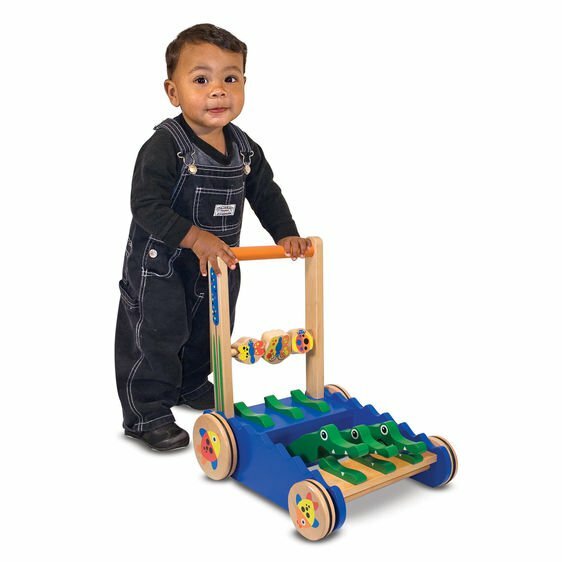 The wooden toy company’s Block and Roll Walker combines sleek design and functionality with its walking toy/building block center. Before baby is ready to pull herself up to walk, she’ll get a kick out of playing with the colorful stacking blocks. And once she can go from sitting to standing, she’ll love cruising around in style. Win-win.